Suddenly, attention is shifting to Okotie-Eboh Primary School in Delta State. A video that has gone viral on social media shows little Miss Success Adebor protesting that her school sent her home because her parents failed to pay her exam fees. “Oh poor girl! Even the school is dilapidated!” And emergency “philanthropists” are sending in cash to enable her pay the fees. I don’t begrudge Miss Adebor for becoming the poster girl for Nigerian kids who cannot pay their school fees. But the hypocrisy of some Nigerians has many colours. While we’ve been shouting ourselves hoarse over the state of schools and education in the country, some have been pretending to have never seen a poor school pupil or a public school in ruins. 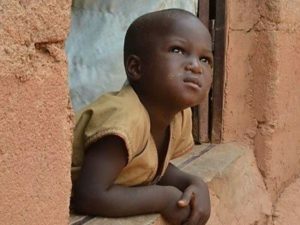 Well, let’s keep talking and keep reminding the pretenders of Nigeria’s new status as the world’s poverty capital, which finds expression in the number of children who cannot go to school. About 44.2% of the country’s population (or 87million people), according to the World Poverty Clock, lives in extreme poverty. It means that parents who fall within this stratum cannot afford good education for their children. Currently, it is estimated that the number of out-of-school-children in the country exceeds 13.3 million. This state of affairs is a warning sign to those who run Nigeria, for ignorance is much more expensive than education. Is it any wonder the country has been contending with several social upheavals in recent times? Boko Haram [“western education is forbidden”] obviously appeals to unschooled kids, just as militancy in the Niger Delta soaks up millions of frustrated youth who have received little or no education. The Nigerian authorities should know that the clock is ticking – and the time-bomb that is youth restiveness will spare no one. A way must be made for children from poor backgrounds before they mature into adults in just a few years. UNESCO prescribes that a minimum of 25% of each nation’s budget should be reserved for education. Nigeria may not meet that target in the foreseeable future, but it should gradually improve on its current 4—7% for education in order to avoid a catastrophe. Quality basic education is the minimum requirement for the wellbeing of children, as it arms them with reading, writing, speaking, and numeracy skills that make them eligible to access and use information in a knowledge-based world. Strict implementation of the federal government’s Universal Basic Education (UBE), a programme “aimed at ensuring an uninterrupted access to nine-year formal education by providing free and compulsory basic education for every child of school-going age”, is a point to start. For UBE to go beyond a policy on paper to a working policy that makes quality education accessible to indigent children, there is need for adequate funding – and mechanisms to ensure the funds are judiciously used. Educational planners of today have lessons to pick from the missionaries of the 1840s who brought western education to Nigeria. Those early missionaries provided free basic education, and that was the saving grace for both the children of the rich and the poor. Had missionary schools placed high fees on education, only an insignificant number of Nigerians would have received any education then. Likewise, the people of western Nigeria owe their headway today to the free primary education policy of their first premier, Chief Obafemi Awolowo, in the 1950s. Two other African countries that have put their right foot forward are Liberia and Rwanda. President George Weah has just announced free tuition for Liberians from primary through secondary to tertiary level. Rwanda, a country that picked itself from the ruins of war, invested hugely in children education; it thoroughly funded and implemented a basic education policy that was a remarkable success: 97% primary school enrolment. Consequently, private schools are closing down in Rwanda as parents now enroll their children in public schools. Education is the launch pad of development. The development of a nation is directly proportional to the education of its citizens – no nation develops better than the education it affords its citizens. Children who have access to quality basic education have the tendency to grow into economically productive citizens. And the more economically productive citizens a country has, the more its economic growth. Good basic education prepares good and reliable workforce for a country. The nation has been tortured enough by its vulnerable citizens. It is time to fund the basic education of indigent children so that the rich could sleep with their eyes closed. No society achieves much in a state of unrest and instability that lack of education often triggers. It must be the right kind of education, however. Not the faulty education that breeds joblessness: we’re churning out more than a million mis-educated young people each year without preparing them for employment. Shouldn’t we stop deceiving ourselves by deemphasizing certificates? Sometime in February 2018, I read that the minister of education, Mr Adamu Adamu, had hinted of a major education reform by the second quarter of 2018. Adamu was a columnist before he was appointed education minister and he too had occasionally lamented the state of education in our country. I wished he would achieve something tangible this time. However, the second quarter of another year is beginning soon, yet I’ve not heard any pronouncement on the way forward. Except that I’ve recently read where Adamu said they’re considering jailing parents who refuse to send their children to school. Adamu and the government he represents should, first, build many prisons then. And if they could provide free food for their prisoners, many would be willing to surrender themselves for the punishment even before committing the crime! There will be many mutations of Boko Haram, so long as schools ignore the core message of the original Boko Haram. Many Lake Chads have dried up or are drying up for millions of school leavers in most of Africa and some poor nations of Asia and Latin America, as industries that should absorb them have closed or are closing. Schools that are pumping out millions of young people every year without preparing them for the workplace or assuring they would have a place to stand are setting the stage for more wars: struggles for opportunities are inevitable.